After selecting the conditions for a workflow, now is the time to select what action or actions will trigger as a result. Email - Use the email section to trigger any email you’ve previously created on WIshpond and choose between whether you want that email to be queued as a draft, or sent automatically once a user has met your conditions. Click on the “Create New Email” button to compose an email directly inside of the workflow editor. 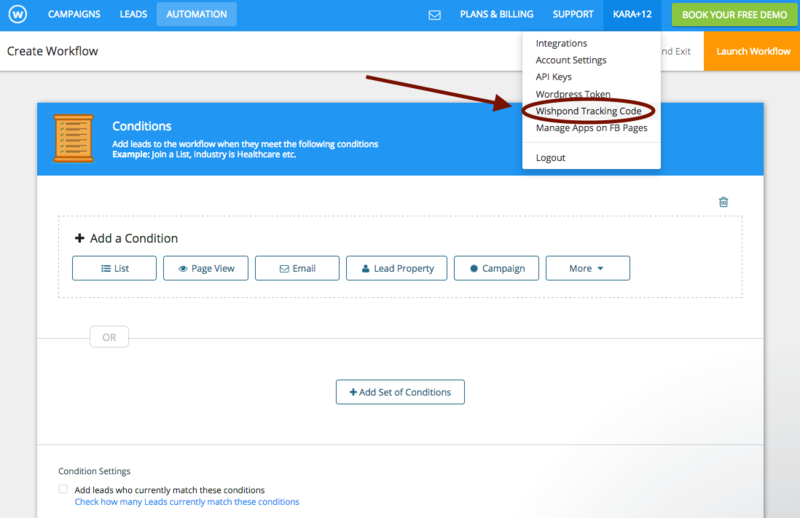 Lead property - This action will allow you to assign a value to any global lead property active in your Wishpond account. This could include assigning a value to city, country, first name, etc. It can also include increases or decreases to a user's leadscore by a certain amount. Add to / remove from a list - Based on conditions listed above, you can choose to either add a lead to a list, or remove them from a list. Your list must have have been created previously inside of the Leads Database order for them to be available. Delay - Often times in things like email drip campaigns you’ll want to add a delay between actions. This could be a certain number of minutes, hours or days. 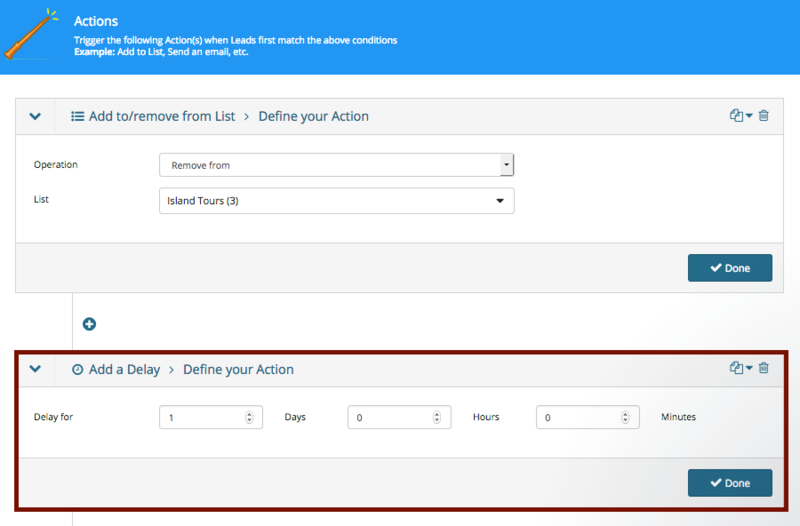 Add a delay between multiple actions to create a workflow that spans across weeks or months. 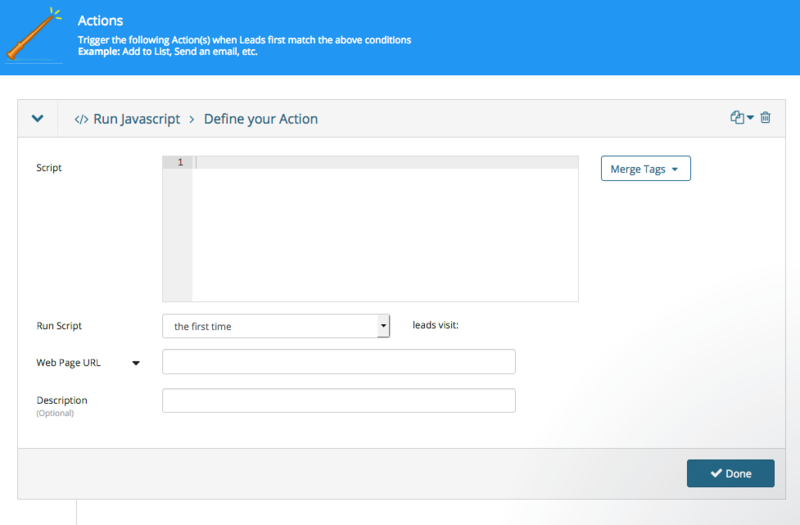 Trigger a Webhook - If you select Trigger a webhook, you’ll have the option to send a webhook containing a number of parameters. 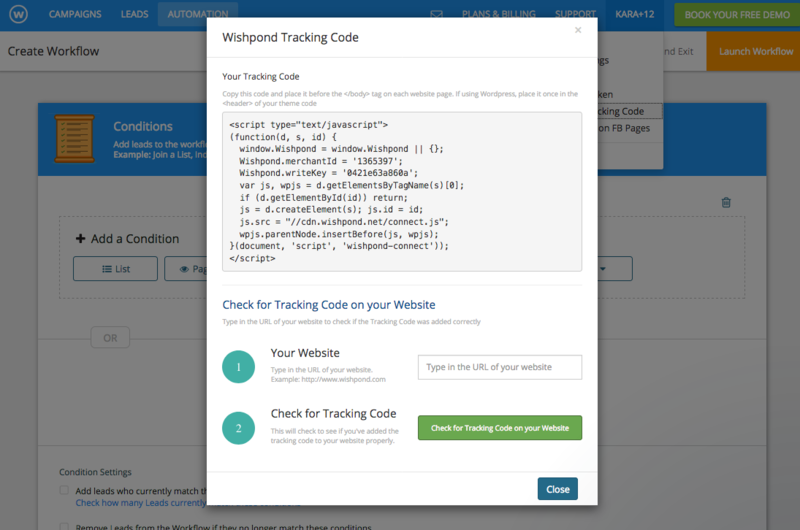 Select what URL to send the webhook to, and choose the extra parameters below. There’s also the option to send a test webhook which will allow you to gauge whether the information you are sending is working. Internal email -You can either choose a pre-existing email, or click the create an email button to draft a new one. Internal emails are used to notify yourself when leads complete a set of conditions. Common usages could include sending lead data to sales people when users complete contact forms, or alerting your team once users reach a specific stage in your sales funnel.